Celebrate natural wonder! Give your bartenders a break and let the drinks flow easily with the Trout Drink Ticket. 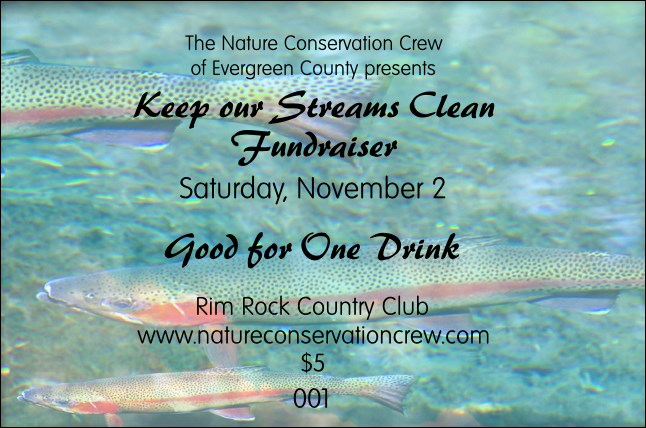 Great for environmental fundraisers and celebrations, this ticket features a beautiful photo of a trout as its background. For security purposes, each ticket is individually numbered. Wade into the design gallery at TicketPrinting.com and get a gander at the great options there!